Here we have gathered some very smart and elegant social media icon packs that you can download and use in your project for free. Social media is a viral means of marketing as well as communicating with your customers. Social media icons on a website or blog allow its visitors to share website information on their social networking profiles with just one click. We hope that these icon sets will help you build your brand image quickly. So, without any further ado here is the complete list. Hope you enjoy! This social media icon set contains 25 scalable vectors complete with semi-transparent shadows for use on various types of backgrounds. The download contains a .zip file with the original .ai file and an .eps version as well. This is a set of 64 balloon icons which covers most of the popular social network and sharing tools icons. The set is free for both personal and commercial use. This icon set includes 20 more stained social media icons for use in your grungy site designs. This is a beautiful set of social icons. This free download includes a PSD file will fully editable shape layers, plus 56 icon variations in PNG format. This set includes free Google+ icons along with a 128px optimized version and the standard 16px, 32px, and 64px version of the new red Google+ icon. 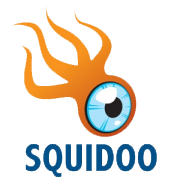 This set contains 27 social networks like Digg, Bebo, Blogger, Delicious, Facebok, Zorpia, Youtube, Google+, Scribd, Technorati, Squidoo and Tagged etc – each in 6 different sizes, 3 mouseover states (link, hover and active) and 2 graphic formats (PNG and PSD). A great, simple, clean black and white social media icon set perfect to be used within minimalism designs. The icon set is available to be used within commercial and non commercial design projects to enjoy. It contains your favorite social media like Facebook, Twitter, Google +, YouTube, Dribbble, etc. The theme of this set of icons is “Candy” and the designer has created them specifically to match the social media colours. Simple mini black icons which includes 12 icons in total. The icons would be perfect to be used within mobile interface design. A simple red subtle grunge social media icon set. The icons can be used within commercial and non commercial design projects. This set contains some beautiful social media icons. A great free simple mini social media icon set perfect for minimalistic website designs, each icon within the set is 64 pixel by 64 pixels. The IC Circle Social Icon Set is a social icon set containing 12 icons in two alternate styles colour and greyscale as shown in the preview above. Icons included for rss, twitter, dribbble, vimeo, facebook, forrst, you tube, skype, flickr, share-this, digg and google+. This freebie is the IC Mini Social Icon Set, this set containing 18 icons in JPG, PNG and PSD format. This set contains Icons JPG & PNG Format & sizes of 256 x 256, 124 x 124 and 64 x 64 px. This set contains Google+ Icons with 10 icons in total and original PSD file is included. Icons are 64px x 64px, in both PNG and JPG format. This set contains 32px social media icons for your project. This set contains 18 Social Icons In JPG, PNG & PSD Format for you to customize and use however you like. This set contains awesome free Social Icons for your design. Blueprint Social is a set of 16 free icons for major social network in a blueprint style. It consists of 25 professionally designed round icons for social media sites. Also included are a few miscellaneous icons (mail, rss, and apple) that can be used to complete a sharing section on your blog or website. 22. New free icon set: Retro! This icon set consists of 25 icons, in 4 colors (pink, blue, grey & green), in 48×48px and 60×60px resolution. This icon set contains some beautiful social icons for your design. This icon set contains some beautiful social media icons. Somicro contains 27 icons covering most of the popular social networks out there. Free Social Media Bookmarking Icon Set consisting of 38 individual icons of the popular social networks/bookmarking sites out there. The set consists of 38 high quality icons in transparency PNG format (64 x 64, 32 x 32). This set contains 6 social icons: google+, facebook, twitter, digg, rss and flickr. In this set you will find facebook, vimeo, twitter, rss, delicious,technorati, digg and 2 flickr icons, size: 128×128, 64×64,32×32. This set contains 12 icons: facebook, twitter, google+, rss, dribble, deviantart. In this social media icon set you will find facebook, twitter, google+, rss, flickr, yahoo, deviantart, dribble, digg and delicious icons. Download this irresistible social media icons. Each illustration is 128×128 pixels and represents a “realistic” version of common social media icons. This is an amazing set of social icons: facebook, twitter, google+, rss, flickr, yahoo, deviantart, dribble, digg and delicious. This free download includes 10 icon variations in PNG format and in 5 different sizes. This set contains some beautiful Crystal Blue Social Media Icons. This set contains some beautiful Woody Social Media Icons Set. A great carbon chrome social media icon set at decent size of 128 pixels by 128 pixels to be used within commercial web design projects. A large glossy icon set with a huge resolution of 256 pixels by 256 pixels. The icon set includes 12 icons in total, to be used within your projects. This is a set of orange glossy simple social icons. In the pack you will find 20 icons in 4 sizes 256x256px, 128x128px, 64x64px, 32x32px. All icons in png format. Somacro’s icon pack contains two variations of the same icons; one with a border and one without, totalizing 54 icons. In this set you will find 7 social icons : facebook, twitter, rss, stumbleupon, vimeo, google+, linked. Icons come in one format – PNG and in 3 sizes: 128x128px, 64x64px and 32x32px. This set contains some beautiful Free Wooden Vector Social Media Icons.